Available in your choice of rich yet neutral hues, Moe’s Flynn Club Chair offers low-key luxury to the contemporary area or retro-style room. 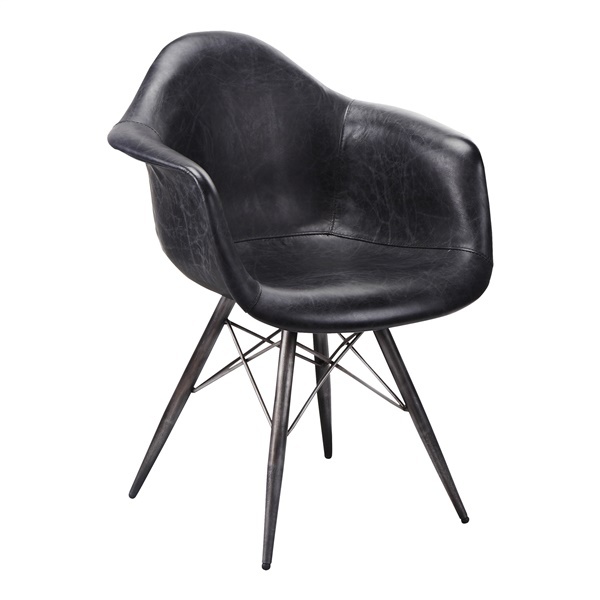 Comfortably contoured and covered with lush leather, the Flynn Club Chair by Moe’s features fireproof foam cushioning set atop slender legs of sturdy iron, giving it a somewhat industrial edge that integrates with ease into all manner of décor aesthetics. Lush upholstery of genuine leather. Your choice of rich and easy-to-incorporate colors. Sleek yet sturdy iron legs.